Orto Trading Co. joined our Mission to help provide access to “Clean Water for All by 2030”. This Mission was initiated by the United Nations. A big thank you to Orto Trading Co.’s team and customers for joining this extremely important mission on 31 January 2018. 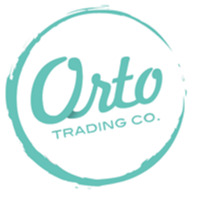 Orto Trading Co. is located in Surry Hills, just a short stroll from busy Crown Street. It offers classic comfort food, serving contemporary Modern Australian cuisine. Orto, being Italian for ''a vegetable garden'', the theme runs throughout the bistro. You’ll find wheelbarrows, potted herbs, and a recycled vintage soda bottle installation. Open for breakfast, lunch and dinner you can sample things like breakfast cocktails, breaky hotdog, crispy lamb belly, confit duck leg or scotch duck egg with salt cod. Orto Trading Co. also has an extensive wine list offering bottles from Australia, France and Argentina. Orto Trading Co. is a relaxing and welcoming establishment, full of fresh flavours and delightful surprises. The service is genuine and it makes an ideal location for brunch with friends or pre-theatre with friends.